Vanessa Raditz, a Breast Cancer Action member and Master of Public Health Candidate at U.C. Berkeley. Editor’s note: This article is based on an interview Vanessa did with Dr. Rachel Morello-Frosch, a Professor in the departments of Public Health and Environment, Science, Policy, and Management ­­­­at University of California – Berkeley. Dr. Morello-Frosch is currently working on a study of breast cancer in female firefighters in the San Francisco Bay Area who are regularly exposed to chemicals in smoke. This study is a partnership with Silent Spring, United Fire Service Women, San Francisco Firefighter Cancer Prevention Foundation, Commonweal, and Breast Cancer Fund. She was interviewed by Vanessa Raditz in winter 2013 for this article. Dr. Rachel Morello-Frosch at BCAction’s 20th anniversary celebration, where we honored her work researching the environmental links to breast cancer. Morello-Frosch explains that the traditional model of breast cancer research asks a very limited set of questions about the causes of breast cancer. “We are realizing that genetics, lifestyle, when you have kids, your weight, if you drink, all of that kind of stuff – much of which we as women have very little control over – maybe at best explains about 20% of breast cancer cases,” she says, even though these areas have been the focus of research for decades. 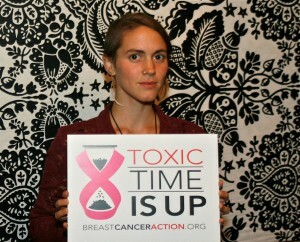 To explore the remaining 80% of breast cancer diagnoses, activists point to the tens of thousands of chemical pollutants in our environment that we know little about. Yet, research methods in the study of environmental health have not provided information about environmental chemical causes of breast cancer at the speed and to the depth that are needed to combat this epidemic. The environmental breast cancer movement has long urged more researchers to think outside the box of traditional breast cancer research. “Breast Cancer Action has been a big part of this [shift], . . . as well as other organizations that have cared about environmental links,” Morello-Frosch told me. Thanks to activists pushing a progressive breast cancer agenda, there are now new methods, questions, and approaches to working on environmental causes of breast cancer. The evidence emerging from these lines of inquiry is strengthening the call for a precautionary principle, an approach that shifts the burden of proof back onto the industries that pollute, and away from the people who pay the price with their health and lives. Innovative new research methods are picking up the pace and examining how chemical exposures from a very young age may impact the early signs of breast cancer later in life. 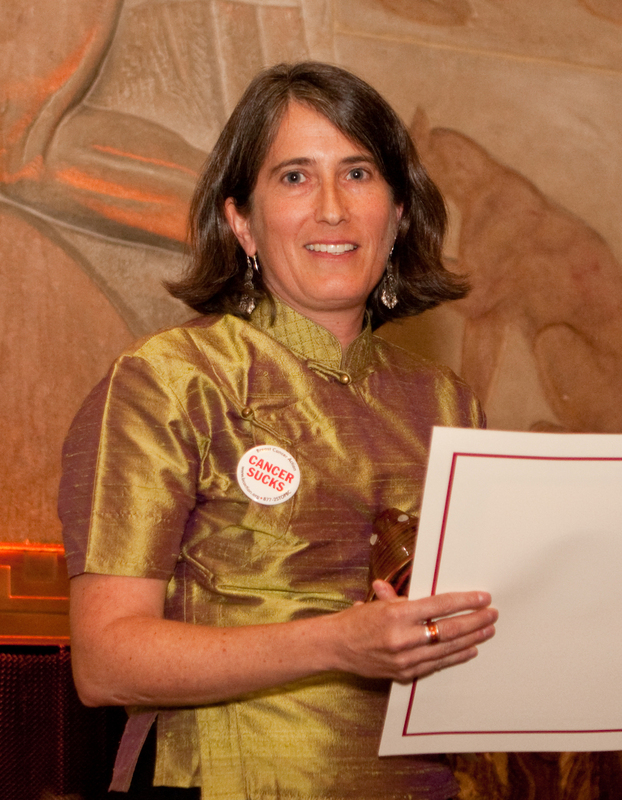 Traditionally, many scientists interested in the links between exposures to environmental toxins and diseases such as breast cancer have relied on research methods from the field of epidemiology, a type of public health research that looks at the associations between exposures and diseases over large populations, and often over long periods of time. Because cancer can take so long to develop, and the causes could come from many different sources, some of them beginning very early in life, epidemiology is simply ineffective at establishing the necessary links to chemicals of concern. Instead, Morello-Frosch and many other researchers, such as those at Silent Spring Institute, a research institute established by the activist group Massachusetts Breast Cancer Coalition, have turned to methods in toxicology and exposure assessment. Toxicology looks at the health impacts of different doses of chemicals in animal studies. Many studies from this research model have shown that there are an abundance of chemicals in the environment that act as mammary carcinogens, such as the hundreds of endocrine disrupters in household products. Exposure assessment, meanwhile, assesses chemicals to which people are actually exposed. One way of performing this assessment is examining biomarkers of exposure: signs of chemicals in people’s blood or other body tissues, like breast milk. These exposures can then be linked to biomarkers of disease: early biological signs that help predict the development of cancer before it happens. Focusing on early biomarkers of disease means that scientists can get results and propose interventions before study participants actually develop breast cancer. Of the thousands of chemicals in industrial production that end up in the air we breathe, the water we drink, the food we eat, and the products we use, only a handful have been very well studied. New approaches to research are attempting to cast a wider net outside of these “known chemicals of concern” to identify more of the chemicals that are working together to create diseases like breast cancer. Today, more researchers are moving away from this “targeted approach” towards a “non-targeted approach” that requires collecting samples, running tests, and developing a series of molecular profiles that can be compared to a database to identify the full array of chemicals that might actually be in someone’s body. This non-targeted approach has revealed more endocrine-disrupting chemicals in people’s bodies—a class of chemicals that has been one of the most important recent discoveries in the study of the environmental causes of breast cancer, but until recently were not being studied at all. Non-targeted approaches may also prove to be a better method for addressing the life-long, multiple, cumulative exposures that people face in real life. All of the chemical pollutants in the toxic soup that surrounds us interact with each other in the body. These interactions may have even more profound impacts on human health than do individual chemicals. In addition to non-targeted approaches, the movement towards Community-Based Participatory Research (CBPR) is an important shift in research methods, giving scientists more perspective on the causes of breast cancer. This innovative research model (used by Morello-Frosch) emphasizes building authentic relationships with the community and enables researchers to better understand what is important to the communities their work will impact. In addition, this approach makes researchers accountable to a given community. By looking at the broad range of chemicals communities are actually exposed to, combined with the diligent work of activists pushing for transparency and involvement in the science that impacts them, researchers are now finding better methods to examine risks for breast cancer, in ways that improve the science. The questions researchers ask when designing their studies have been changing as well. Over the past decade, studies have increasingly focused on the impacts of stress and psychosocial factors in breast cancer: how poverty and racism get under the skin and become illness and disease. There has been movement within the study of environmental health science to expand the definition of “exposure” to include the very real and measurable impact of stress hormones in the body in response to these socioeconomic factors. Researchers like Morello-Frosch attempt to measure stress in the body and assess how it interacts with the many other cumulative exposures to chemical pollutants. This is a new frontier in exposure science, and researchers looking at this are currently developing and comparing methodologies. Major research programs are involved in this initiative. As Morello-Frosch explains, “the California Breast Cancer Research Program is trying to open up new lines of inquiry into looking at non-genetic reasons for why we might see different kinds of cancer among African-American women,” who are more likely than their white counterparts to develop the disease younger, be diagnosed at a later stage, and to have triple-negative breast cancer, a subtype that is more difficult to treat. Studying how stressors such as racism aggravate or contribute to the development of breast cancer shifts us away from the problematic focus on race as genetic-difference, and towards more socially-conscious conclusions that call for the elimination of discrimination and the systemic social causes of illness. New research methods coupled with the growing body of evidence linking environmental exposure to breast cancer is fueling demands for policy interventions that hold industry accountable for eliminating toxic chemicals. This new line of breast cancer research, fueled by activists, has in turn fueled the work of activists seeking stronger regulation of toxic chemicals. The Toxic Substance Control Act (TSCA) of 1976, the outdated and ineffective law that is supposed to protect us from toxic chemicals, has been long overdue for reform. This bill grandfathered into circulation thousands of chemicals whose health impacts we know nothing about, and TSCA has a limited track record for regulating old and new chemicals alike. Finally, thanks to a combination of new research and ongoing activism, TSCA reform is now on the national agenda. The growth of innovative research methods points to the overwhelming inefficiency of the current process of proving chemicals unsafe decades after they are released into the toxic soup that fills our environment and our bodies. Researchers share activists’ frustrations of having to prove that a chemical has caused harm when our regulatory system fails to require that they be proven safe. The recently proposed Chemicals in Commerce bill similarly fails to provide a precautionary approach that would shift the burden of proof towards industry to prove the safety of the chemicals they put into the world and our bodies. Nor does it protect communities who are most impacted by toxic exposures, even though scientific evidence clearly indicates that some people and some communities are more impacted by chemical pollutants than others. Despite this progress, scientific research alone does not create the policy change that we need. Change must be leveraged by researchers, communities and activists at every level throughout the country in order to be effective. Morello-Frosch cautioned that researchers are still scratching at the surface in developing these new study designs, and that “it’s going to be awhile before we get definitive answers.” Science will always be a slow process of change and refinement. Science’s quest for exactness is its strength in the policy arena, but it is also its weakness when it comes to immediate matters of life and death. Nevertheless, thanks to the push from activists, breast cancer research is moving towards improved methods for study design that will reveal more chemicals of concern, work through cumulative chemical interactions at even earlier stages of development, and possibly detect biomarkers of disease before breast cancer even emerges. This information can now be used to push back against unethical industry-supported legislation like the Chemicals in Commerce Act. The loud, defiant, and empowered voices coming out of activist organizations like Breast Cancer Action have long been catalyzing these conversations between science and policy to promote policy interventions that take a strong precautionary approach. “They are saying, we can’t sit around and wait for science,” says Morello-Frosch. Science and activism are in continuous states of co-production, and when effectively linked, make for a powerful team. 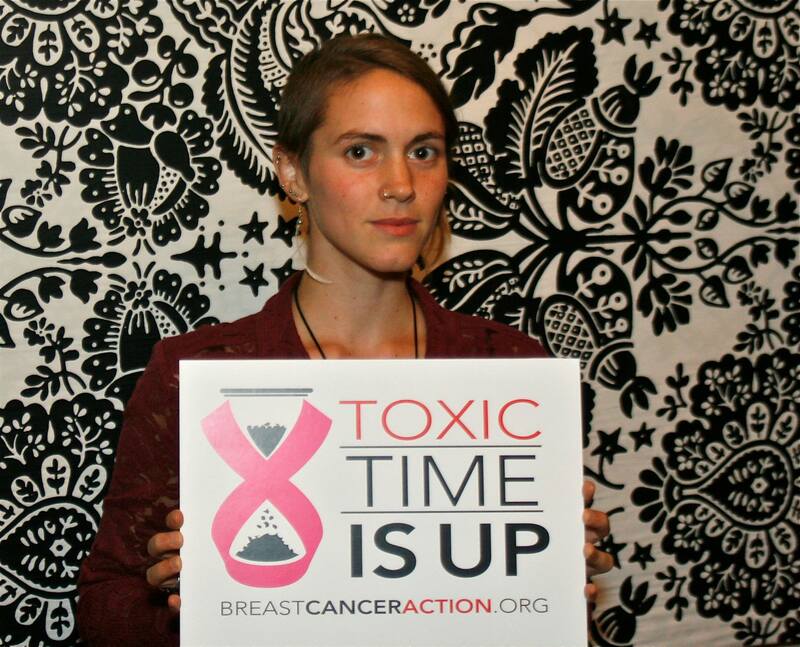 Vanessa Raditz is a Breast Cancer Action member and Master of Public Health Candidate at U.C. Berkeley, studying issues related to cumulative impacts, connections between human and environmental health, and participatory science for achieving environmental justice.